Absolutely spotless full-time home or weekend retreat located in Harpers Ferry on the great river road! 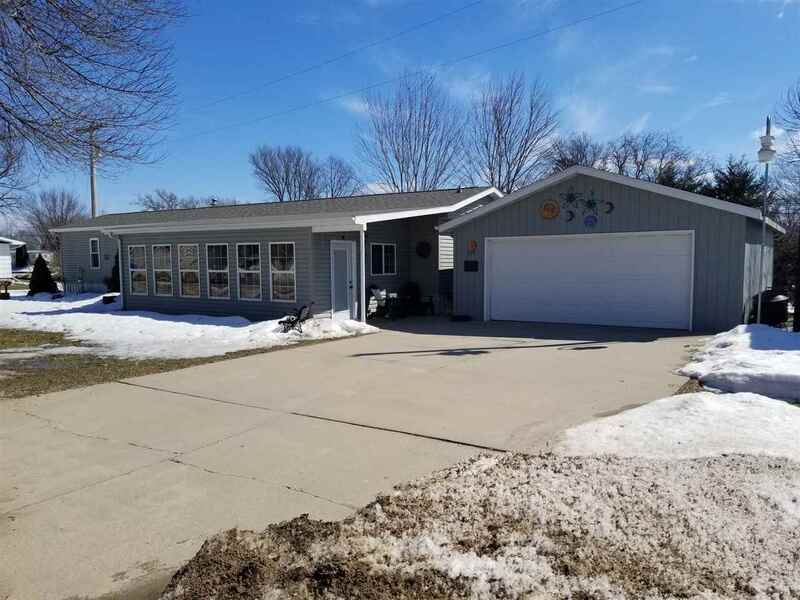 This beautiful 16&apos;x68&apos; mobile home has a 14&apos;x26&apos; three seasons room, two bedroom, two bathrooms, new kitchen including new appliances that stay, laundry room with washer and dryer that stays. New shingled roof, new central air and furnace and to top it off, it has a detached 24&apos; x 26&apos; garage finished on the inside with double wide concrete driveway!